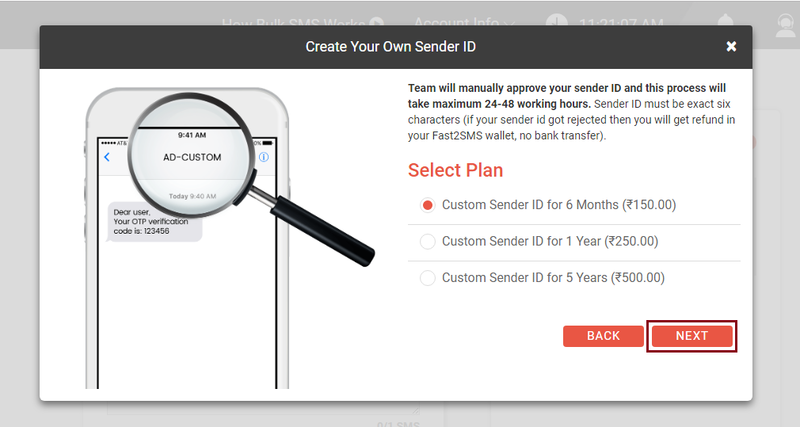 What is SMS Sender ID & How To Create? 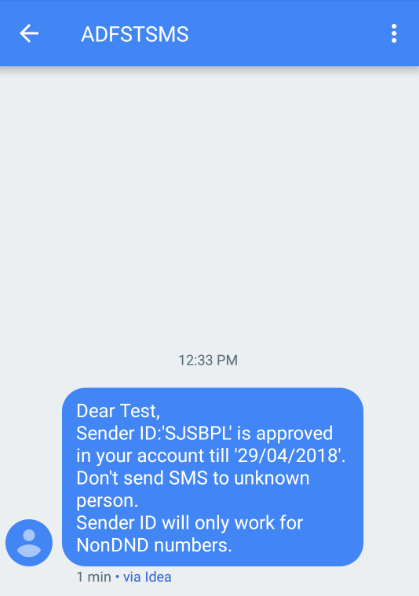 SMS Sender ID is your unique 6 character name from which message is sent. For example, when you receive a SMS from bank then their name is mentioned like HDFBK, ATMSBI. 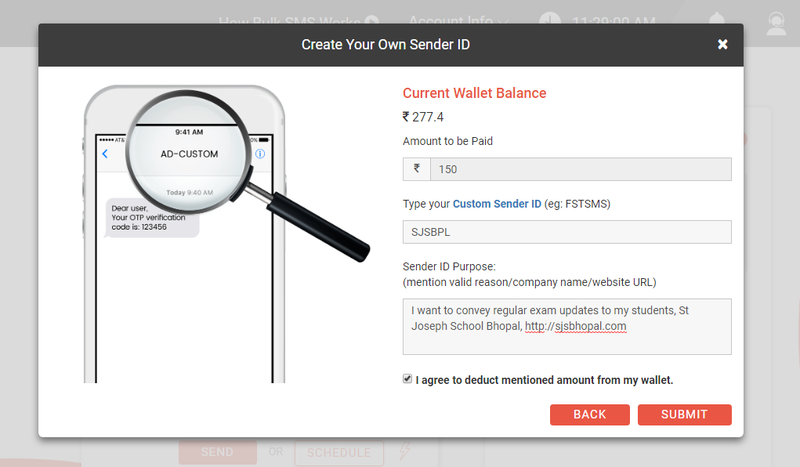 Similarly, you can create your own or your business sender ID, so that your users/customer know you with unique name. 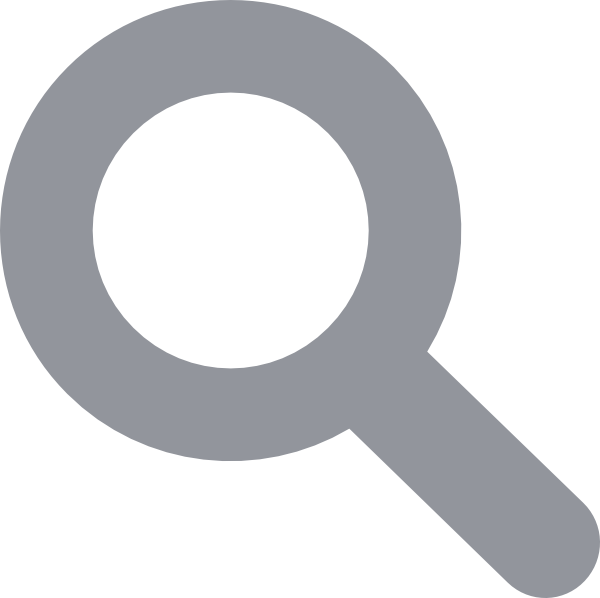 Sender ID is widely used in Bulk SMS Service. 4. After selecting the tab, a dialog box will pop up. Press the ‘I agree terms and conditions’ button. 5. After clicking another dialog box will get opened asking for selecting a plan. You can choose according to your own preference. 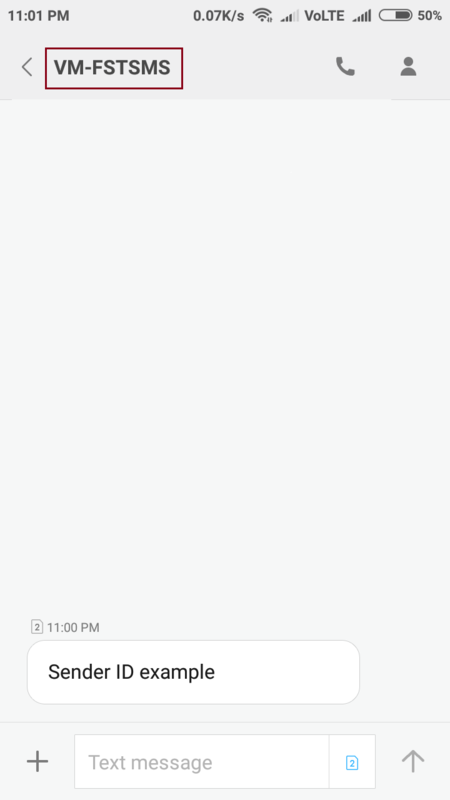 It is also mentioned here that Sender ID should be of maximum 6 characters not more than that. 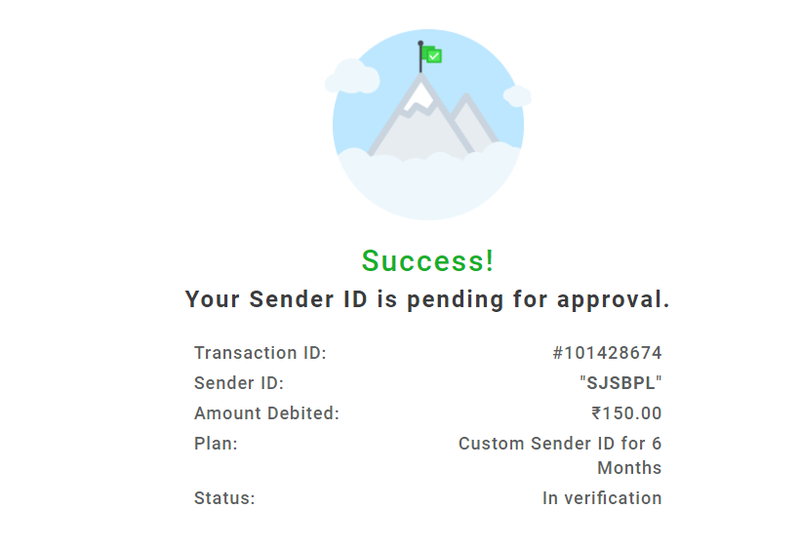 The team will approve your Sender ID and this process might take 48 hours. If your Sender ID is not approved then the money will be refunded. Select the plan which suits you and then press next. 6. After this a dialog box will appear again asking for Sender ID name and purpose, fill the details and then click on Submit button. Here we have taken the example of St.Joseph’s School. Your Sender ID name can be anything related to your business/organization etc. 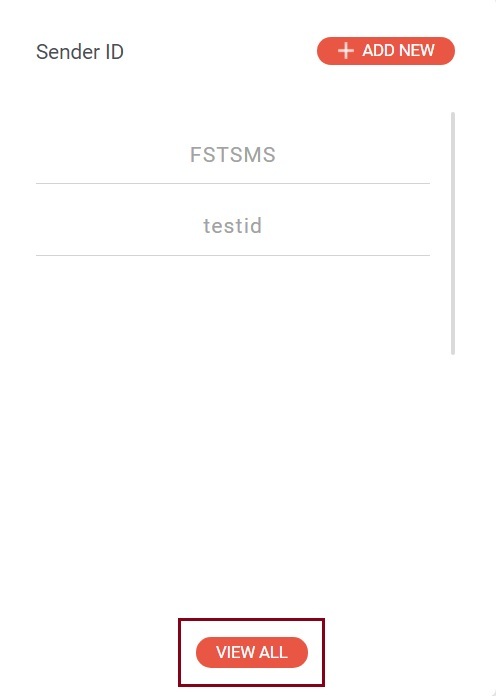 Enter the name and purpose for which you want to create a Sender ID. 7. Now the following message will appear on your screen. 8. 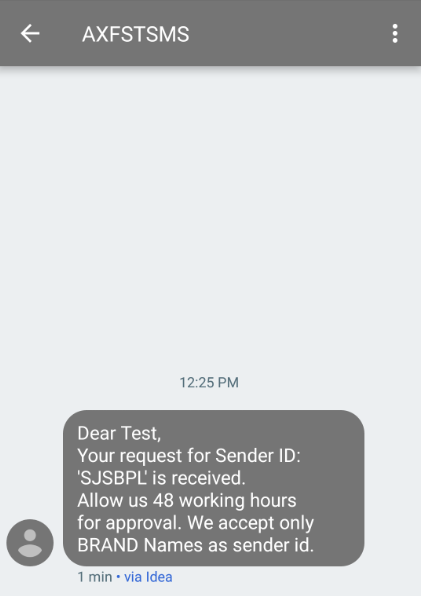 Next when the request for Sender ID is received by Fast2SMS team, a message will appear on your registered mobile number as follows. The approval might take 48 hours.